Las Ramblas Apartments I are modern and stylish self-catering apartments located in Barcelona's fascinating Gothic Quarter in the heart of the city. 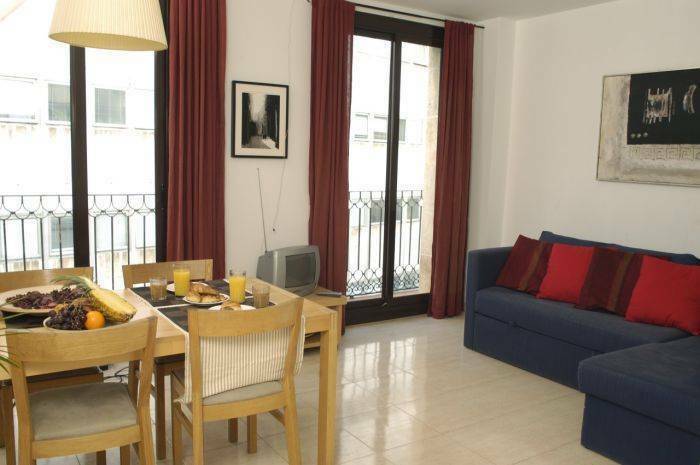 Situated just a stones throw away from the renowned Las Ramblas, unmistakable with its flower stands and living statues, the apartments are privileged with an excellent location. Enjoy a stroll through the winding streets of the Gothic neighborhood and lose yourself in the history of this beautiful city or perhaps take advantage of the many cafes, tapas bars and night life venues that you can find in this area. In addition, those of you who wish to indulge in a shopping trip will find some of the most distinguished international brands just a short distance away in Placa Catalunya and Passeig de Gracia. 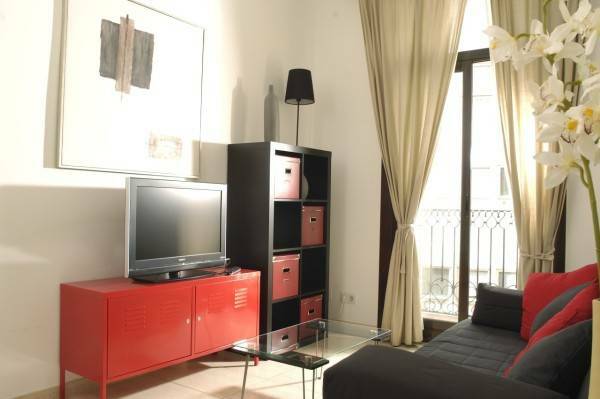 No matter what you choose to do whilst in Barcelona, Las Ramblas Apartments I provide the ideal base. 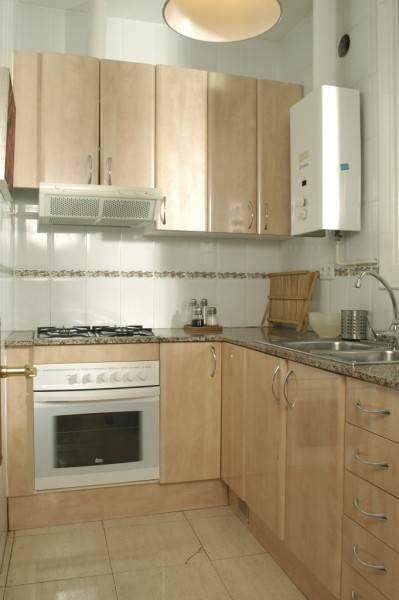 All of the apartments have been recently renovated and come completely furnished. They can each accommodate up to 6 people offering two bedrooms with a double bed in each and a comfortable double sofa bed in the living room. The apartments boast great, fully-equipped kitchens and a complete bathroom offering a independence rarely found in conventional hotels. The apartments also provide at least two balconies overlooking the street, giving a lot of natural light and heating is also provided. 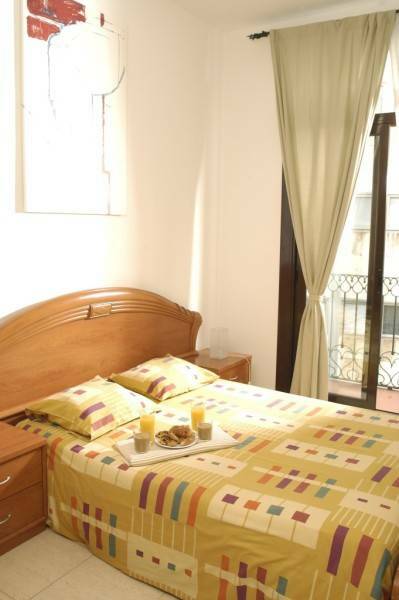 Las Ramblas Apartments I are very new and fully furnished. Each apartment has 2 bedrooms with a double bed in each room, a living room with a wide sofa bed, a complete bathroom and a fully equipped kitchen. The apartments also offer central heating, a colour television, a large dining table and a balcony that faces on to the street. 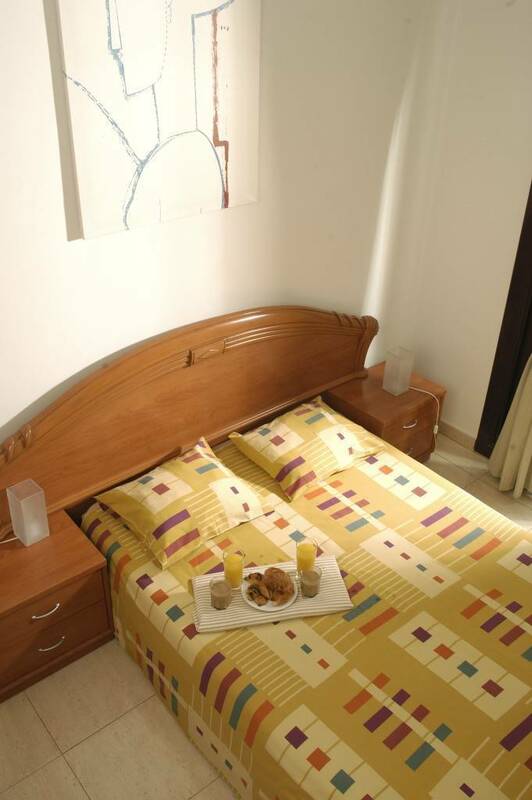 The apartments are situated in the heart of the city. From your apartment you are within walking distance of attractions such as Palau de la Música, Mercado de la Boquería, Gaudi's Casa Batlló, Ciutadella Park, and Barcelona Cathedral. Upon arrival guests should proceed to the Barcelona Boutique Hotel, at Pau Claris street 145 ent 1, to collect the keys to their apartment, directions, and a map of Barcelona. It is open 24 hours and is within walking distance of Passeig de Gracia metro. A taxi ride from Boutique Hotel Barcelona (your key pick-up point) to the apartments takes only a few minutes. Placed in the very centre of Barcelona, the area is well served by public transport with Plaza Catalunya, Liceo and Jaume I metro stations only a short distance away. There are also numerous bus routes and taxi stops nearby. Nearest airport: BCN-Barcelona El Prat International Airport, 13 km.